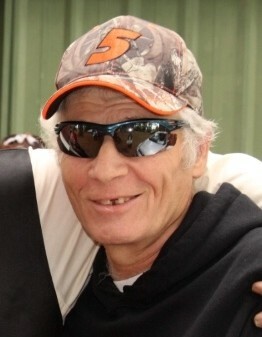 Mikell Warren Brunton, 62, of Toledo Oregon passed away March 24th, 2019 at Samaritan Pacific Communities Hospital in Newport, Oregon. “Mike” was a recently retired Petroleum Transfer Technician, who worked in the coastal community for over 15 years. Mike was a loving son, husband, father, grandfather, and friend to many. Mike was born in Portland Oregon on January 16th, 1957 to Marlys Jean Ingalls and the late William Redrick Brunton. He went to high school at Centennial High in Gresham, Oregon. In 1978 Mike met and his first wife, Debra R. Ellis, and they were married in 1980. Mike and Debra had two children together, Kimberlee D. Williams in 1980 and Travis W. Brunton 1983. In the late 1980’s Mike worked/volunteered at the Portland International Speedway where he spent a lot of his weekends and met many lifelong friends. In 1988 Mike and Debra separated and Mike then moved to Sherwood, Oregon where he worked for Columbia Corrugated. Not long after living in Sherwood, Mike met Patricia E. Corron. Pat and Mike were married for 12 years but together for 26. In 1995 Mike, Pat and Kimberlee moved to Dayton, Oregon where he worked for a gravel company and was a volunteer firefighter from 1995-1999. 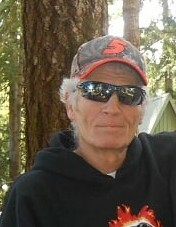 Mike worked at Oil Can Henry's for 12 years in Newport, Oregon where he enjoyed working on cars. Not long after leaving Oil Can Henry's, Mike worked at the Local 76 Gas station in Newport for a short while, and then the Towne Pump in Toledo, Oregon where he eventually retired in January of 2019. Mike enjoyed talking to his customers and their four legged friends. Mike enjoyed fishing, golfing, bowling, and cooking for everyone. Some of Mike's best memories were visiting his mother and relatives in Portland, spending holidays with family and friends, and spoiling his dogs. Mike is survived by his wife Patricia; his children: Kimberlee and Travis and their spouses; his mother: Marlys; his brother: Kevin and his spouse; and his four grandchildren: Stephine, Logan, Conner, and Shahaylee. A memorial potluck will be held for Mikell Warren Brunton at The Toledo Firehall, 285 NE Burgess Rd, Toledo, OR 97391 on April 27, 2019 from 12pm-4pm. 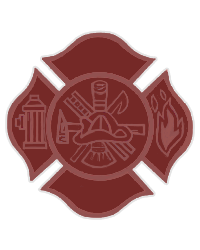 There's still time to send flowers to the Memorial Service at the The Toledo Fire Hall at 12:00 PM on April 27, 2019.